According to the website of Bank Negara Malaysia’s Fintech Enablement group the testing period will be for 12 months starting from 20th October. Comparing to the previous list of approved participants which primarily in the financial aggregrator and remittance space, the new list introduces a e-KYC element to it. The introduction of e-KYC to the fintech sandbox and the upcoming e-KYC standards by year’s at hints at Bank Negara Malaysia’s increased focused towards e-KYC. Jirnexu enables banks, insurance companies and service providers to think mobile-first and acquire customers online, handle their fulfilment, keep them loyal and extract lifetime value. 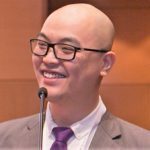 Founded in 2012 in Kuala Lumpur, Malaysia, the company is a full stack fintech solutions provider. 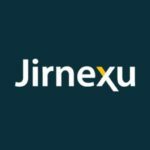 Jirnexu’s partners include RHB, Maybank, Citibank, HSBC, Alliance Bank, Standard Chartered, CIMB, BSN, Public Bank, UOB, AEON, AmBank, UforLife, Manulife, Allianz, Zurich, Etiqa, and RHB Insurance. Jinerxu recently secured $2 Million Funding in their Pre-Series B round. Paycasso delivers a global customer identification platform, serving customers from the Financial Services and Healthcare vertical. 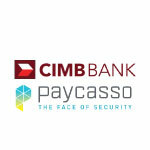 Paycasso is headquarted in UK and according their website has no physical presence in Malaysia as of yet. The inclusion of more companies in the Bank Negara Malaysia Fintech Sandbox points towards a healthy development in the Malaysian Fintech landscape.